First and foremost, thanks for your hard work and sharing your experiences. I have bought and read all of your books. As a swimming coach for more than 30 children and a charity fund raiser your books have helped change my life as well as theirs. Cathy Glass, author of best seller “Mommy Told Me Not to Tell” has a rare gift. From the moment you pick up the book, you want to continue reading. 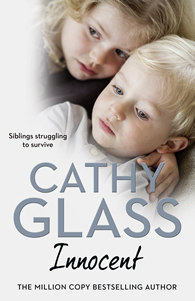 Cathy writes in a clear manner which allows the reader to actually feel as if they are experiencing the story. The fact that the story really happened makes it even more difficult to comprehend. The child featured in this book has experienced a life that most of us cannot imagine. Cathy Glass was given the responsibility to foster this child. That task was easier said than done. He had been damaged beyond comprehension by his birth mother. This was followed by several unsuccessful attempts of placing him in foster care. 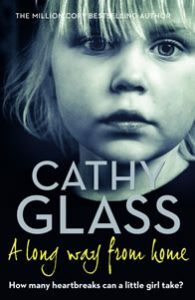 Cathy is able to communicate his story in a way that brings both tears and smiles to the reader. The frustration both the child and the foster family feels is evident in every word. Cathy Glass handled this situation with grace and caring. Her training was utilized to its fullest degree. Little by little the tangled web that bound this child was unwound. With every step forward in his journey of trust, he took a step back. Cathy allows us to peer into the darkness of the world of child abuse. We take an unflinching view of a world we cannot understand. We soon realize that children are given to us pure and open. Their hearts are filled with love and trust. Their minds are a clean slate. In most cases that vessel is filled with love, support, trust and understanding by a loving parent. But when the parent of a child is damaged, they damage their own child. A parent who was taught to be deceitful, cruel, and selfish; she has no foundation to provide the love and care an innocent child needs. The cycle is unyielding. Until broken, it will repeat generation after generation. Cathy’s work allows us to look past the behavior and anger of a child to discover what pain they are experiencing. We learn not to judge children for we do not know the path they have walked. 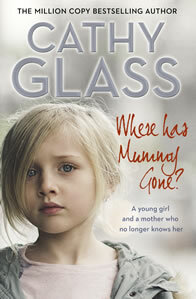 It is our wish that every adult who works with children in any aspect reads Cathy Glass’ books. 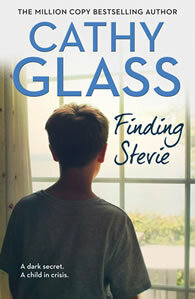 This is a perfect way to see the world through the tearful eyes of an abused or neglected child. Only with that understanding can we help them from the prison that holds them.